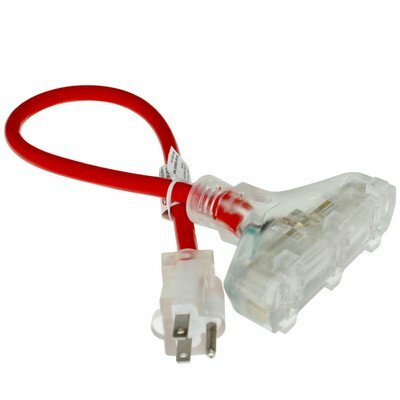 This 2ft UL 12AWG Outdoor Power Splitter will extend out your power with three outlets and give you the extra length you need. It is designed to be placed outdoors, and will stand up against the elements, rain or shine. Perfect for outdoor lighting! This 2ft UL 12AWG Outdoor Power Splitter will extend out your power with three outlets and give you the extra length you need. It is designed to be placed outdoors, and will stand up against the elements, rain or shine. Perfect for outdoor lighting!